Fly from mainland Ecuador (Quito or Guayaquil) arriving in Baltra to board your yacht. Enjoy a light lunch and refreshments as the yacht slowly navigates around the Daphne Islets. Enjoy watching various tropical bird species before arriving at Playa de Las Bachas; home to a Flamingo lagoon and beautiful Pink Flamingos. Take a walk or jump in the water for a swim and a snorkel. Anchor overnight. Genovesa/Darwin Bay After breakfast, head ashore to visit Bahia Darwin for a nature walk to see various colonies of birds. After lunch take a swim or a tender ride to Barranco for a walk with your Naturalist for more bird watching. The Galapagos is a bird watching paradise with unique indigenous species and many migratory species stopping in on their way hither and yon. Enjoy dinner on board. Anchor overnight. 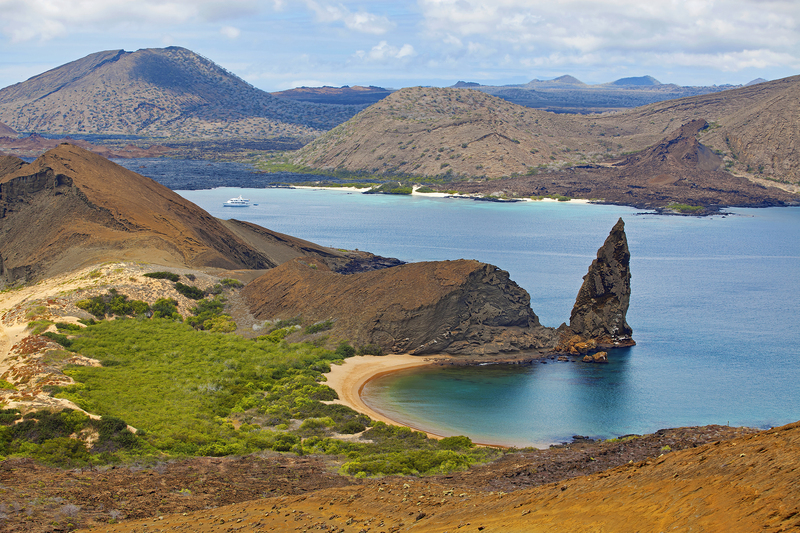 Santiago Island/Bartolome Island. 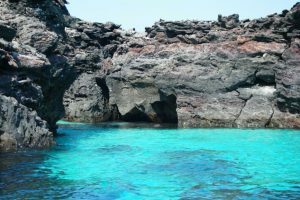 Wake early for a swim before heading ashore to visit Puerto Egas with your Naturalist to visit the grottos where Fur Seal colonies live. After lunch, cruise to the island of Bartolome heading ashore for a walk to the top of the island. Take a tender ride around the Tower to enjoy the Galapagos Penguins. 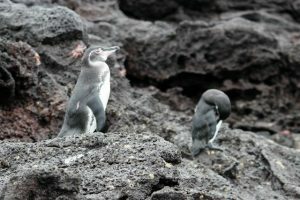 Have a late afternoon swim or snorkel, and perhaps the Penguins will join in to frolic. Relax with dinner on board. Anchor overnight. 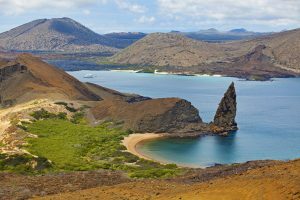 San Cruz Island/Charles Darwin Station/Highlands If wanted, a trip can be arranged to the highlands of Santa Cruz Island to see native forests and the twin volcanic craters. Return to the port walking through the little town, perhaps shopping for local handicrafts. 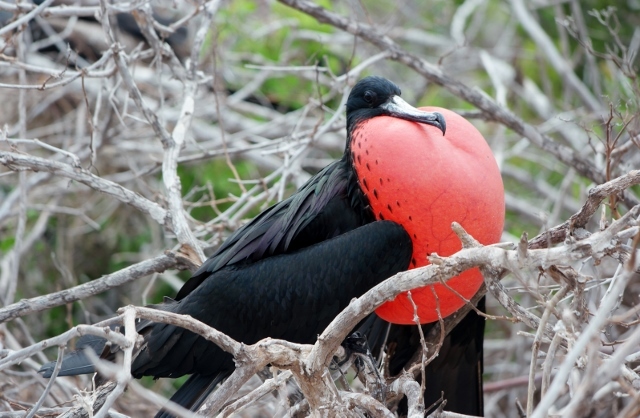 Return back on board for lunch, and then head ashore to visit the National Park and the Charles Darwin Station to enjoy the interpretive center. Have dinner ashore or on board. Overnight. Plazas Island/Santa Fe Island After breakfast, head ashore to the island of Plaza Sur, where the shores are littered with lazy sea lions, that you can virtually step over on your walk. After lunch cruise to Santa Fe Island to visit the cactus forest inhabited by land iguanas native to Santa Fe Island. Espanola Island After breakfast, take the tender ashore to visit Gardner Bay for a walk with your Naturalist along the beach. 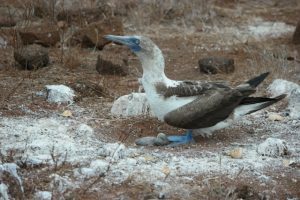 After lunch cruise to Punta Suare and take the tender ashore to walk along lava beds where various colonies of marine birds are living, including the Albatross (May – December). Floreana Island After breakfast visit Point Cormorant for a short walk to the Flamingo Lagoon following along to the beach called “La Picona”. 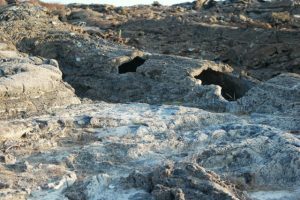 These are the spawning grounds of the marine turtle. Enjoy a swim or a snorkel before lunch. Cruise around to Mailbox Bay, where the oldest postal system in the world is located. Dinner on board. Overnight. 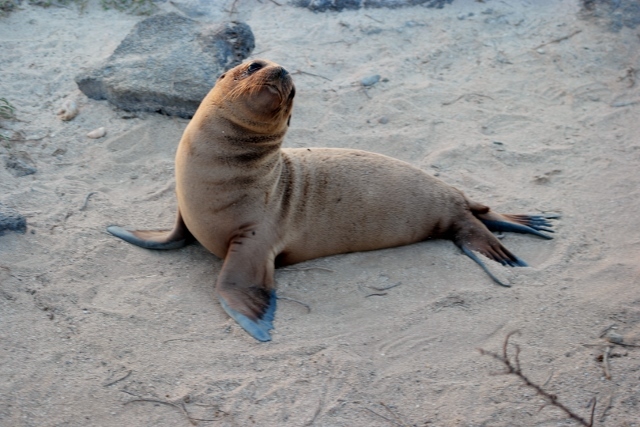 North Seymour Have your final breakfast on board before heading ashore for a walk on the beach with your Naturalist to visit various colonies of birds, marine iguanas, and sea lions. Return to your yacht to cruise back to Baltra to disembark.